Trainer Robbie Griffiths will test the Blue Diamond credentials of some of his 2yos in the Previews. 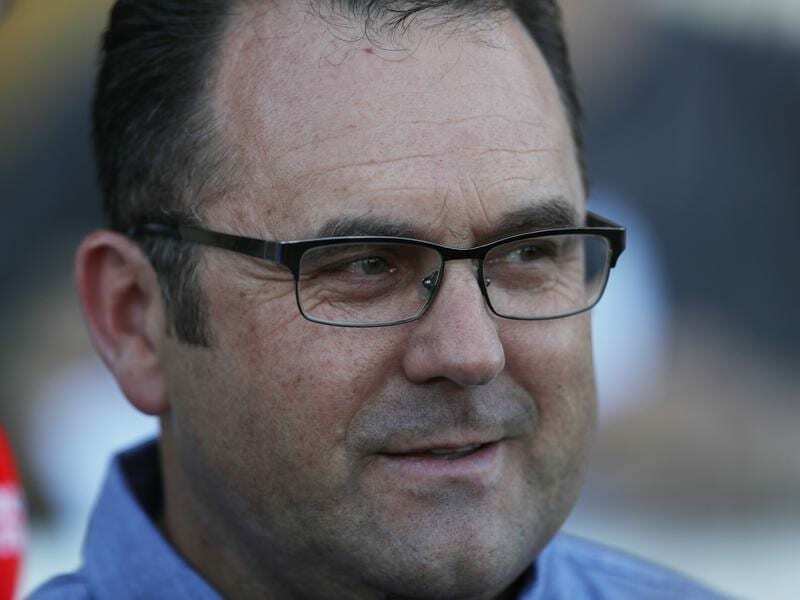 Trainer Robbie Griffiths has seen positive signs from his unraced fillies entered for the Blue Diamond Preview and is now keen to see how they perform when it matters most – on race day. Griffiths has Don’ttelltheboss, Lady D’Oro and Miss Elena in Saturday’s Group Three Blue Diamond Preview (1000m) for fillies at Caulfield, a race which shapes as an important guide towards next month’s Blue Diamond. “They are all quality fillies but like all those races each year there will be good competition,” Griffiths said. “There’s about five fillies who have already raced and been very good. “Those raced horses are going to have the upper hand on my fillies, so if they can be competitive in this race they’ve got the room to improve to go through the series. The raced brigade is headlined by Gimcrack Stakes winner Catch Me who was the $3.70 favourite on Thursday but the Lloyd Kennewell-trained recent Flemington winner Jedastar has been a notable firmer with TAB fixed odds from $13 into $4.60. Don’ttelltheboss has drawn barrier four while Lady D’Oro has gate 10 and Miss Elena 17. Griffiths said on their jump-outs and trackwork there was not much between his three so luck in running would be important. “Looking at the barrier draws you’ve probably got to rate them in order of barriers now,” he said. “I don’t know if we’ll run Miss Elena from barrier 17. Griffiths also has unraced colt Hernadez in Saturday’s Listed Blue Diamond Preview for colts and geldings. He said he was impressed with Hernadez’s first jump-out at Cranbourne but was disappointed when the colt was a well-beaten eighth in a Pakenham barrier trial this month. “(Jockey) Andrew Mallyon said he was a bit lost so we took him across to the Cranbourne racetrack on Monday and he ran second in a trial there,” Griffiths said.